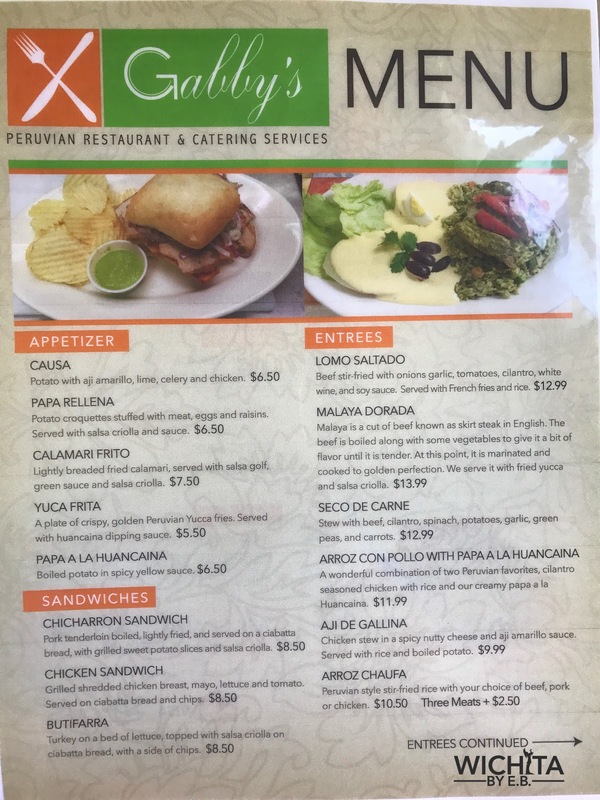 Gabby’s Peruvian Restaurant and Catering has a new menu and it’s worth it! – Wichita By E.B. 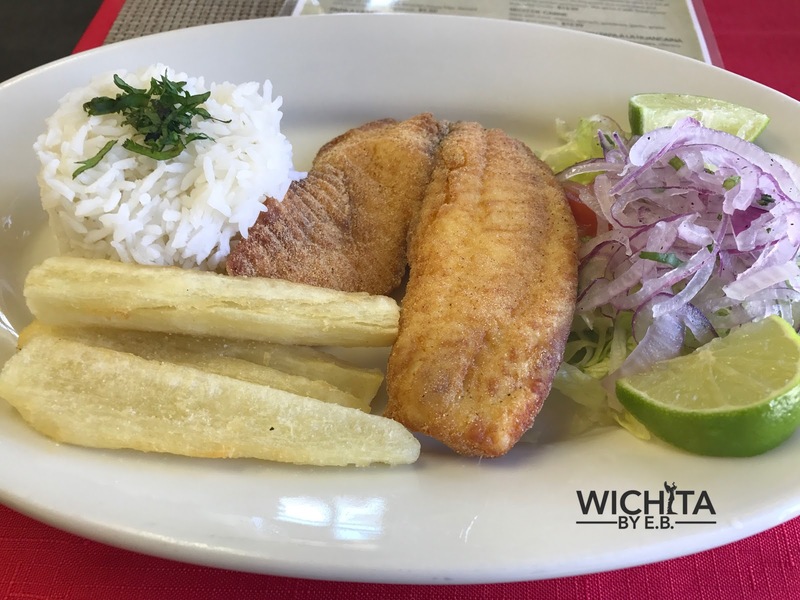 Gabby’s Peruvian Restaurant and Catering has a new menu and it’s worth it! The title says it all: One of my favorite restaurants around town has a brand new menu and it’s worth it. 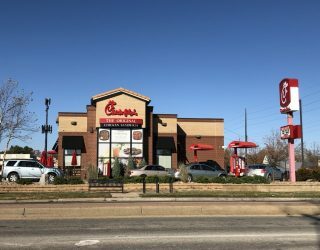 With sandwiches, more appetizers and additional entrees to choose from, there is definitely something on there that every customer would love. 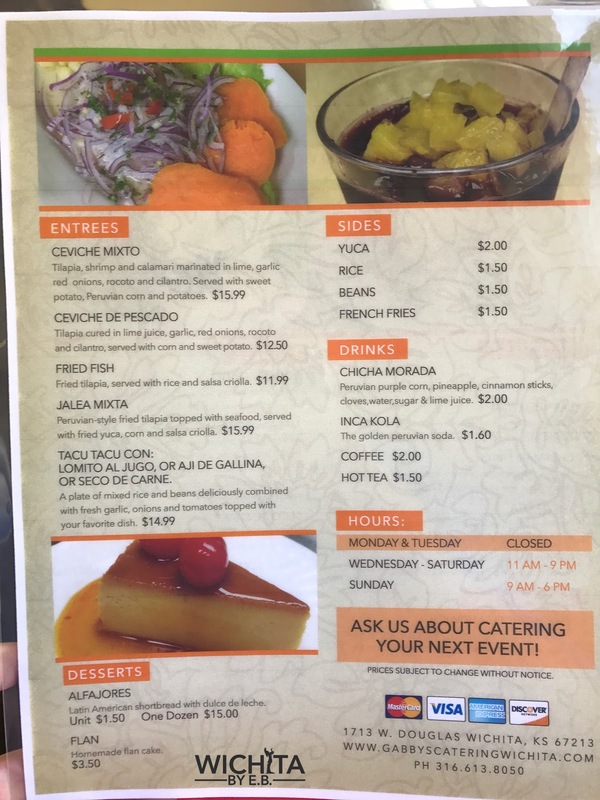 Also if you follow them on Facebook, they will occasionally have weekend specials for items that don’t appear regularly on the menu. On Sundays, they offer a Peruvian breakfast special. On a recent visit to Gabby’s, I was introduced to anticuchos and picarones. 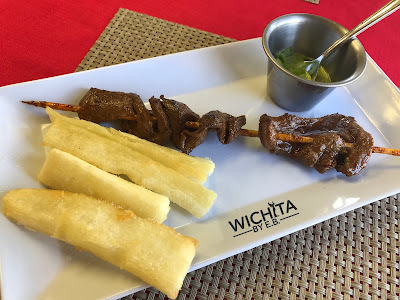 Gabby’s anticuchos is made of beef heart, is covered in a delicious marinade and served on a skewer. 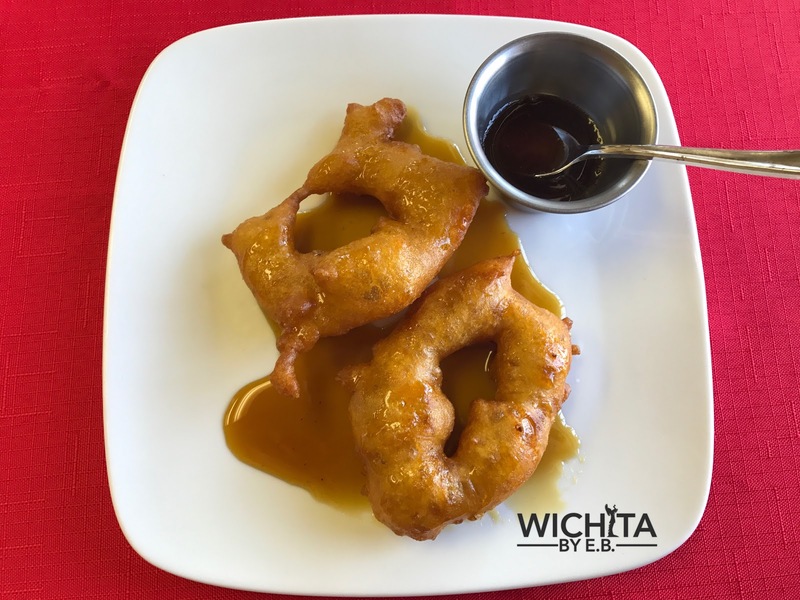 It’s also served with picarones which is best described as a Peruvian doughnut. Instead of flour and eggs though, picarones are made with squash and sweet potatoes. They are then served with chanaca syrup. Once you try these, it could very well change the way you look at doughnuts. It was one of the best meals I’ve had in a long time. I can’t stress enough, if you’ve never tried Gabby’s, do so………soon.